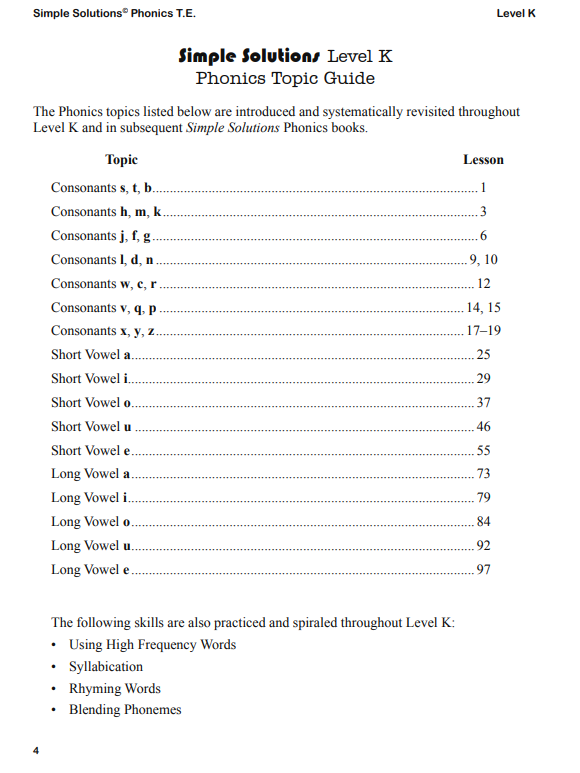 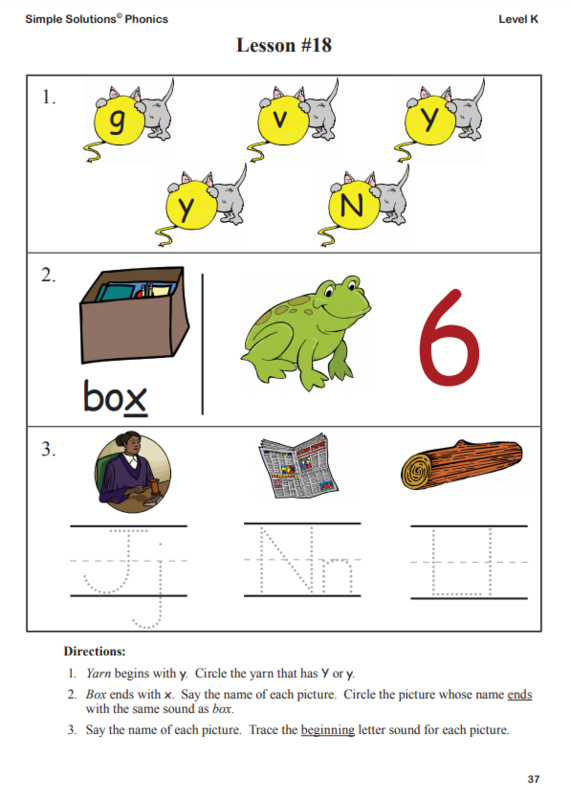 Develop awareness of the segments of sounds in speech and how they link to letters. 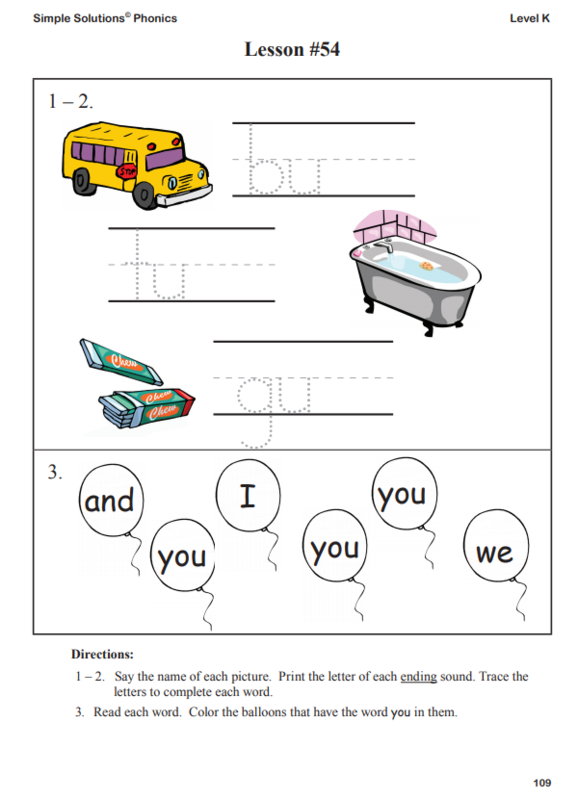 Teach students to decode words, analyze word parts, recognize and write words. 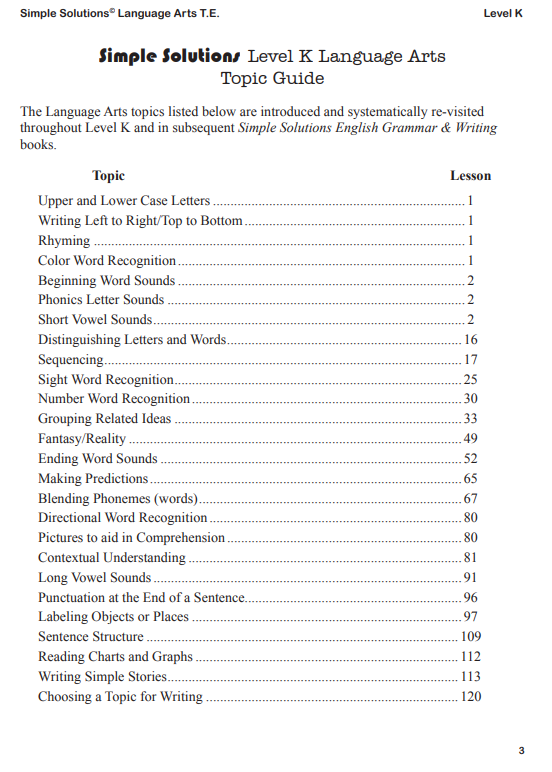 Ensure that students read every day to support reading accuracy, fluency, and comprehension. 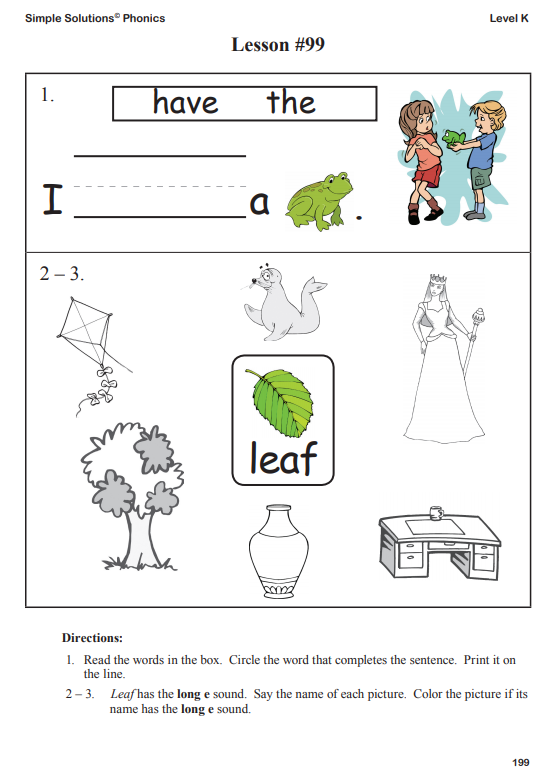 Obviously, teachers devote a great deal of classroom time to these endeavors. 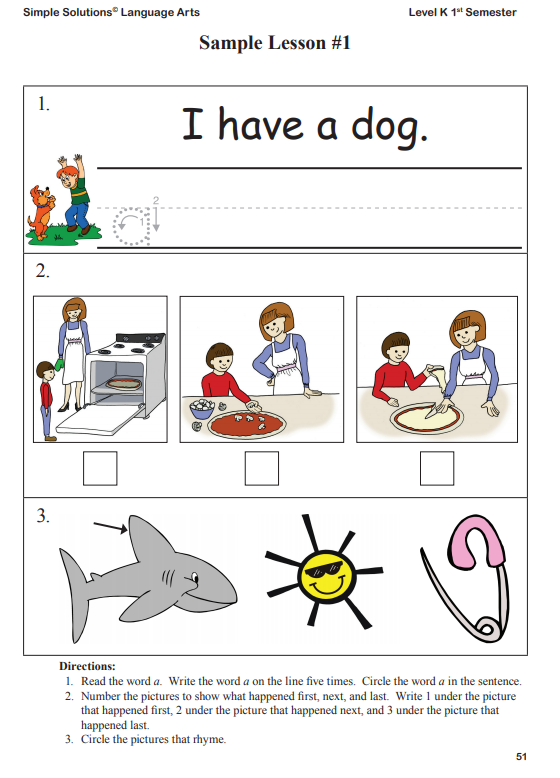 But even more can be accomplished by making good use of homework and independent study time. 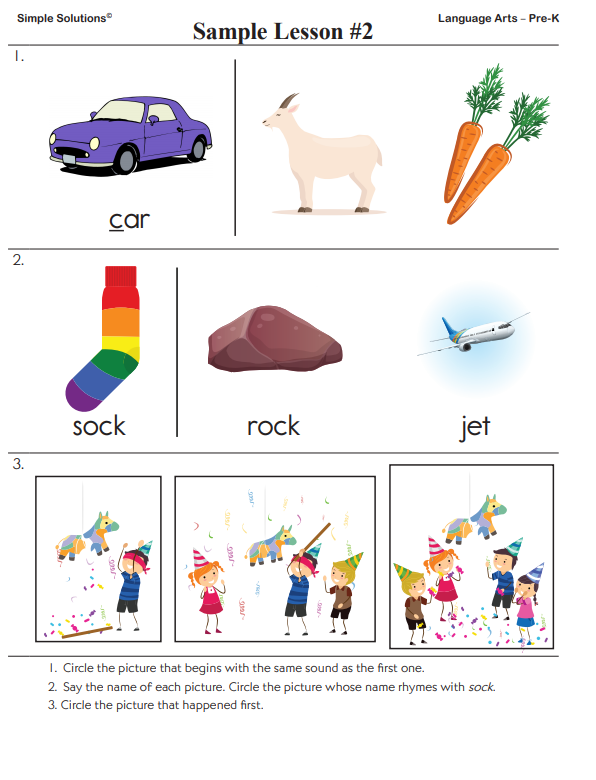 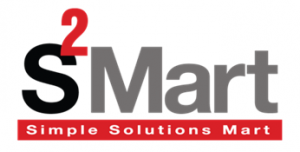 For preschool and the primary grades, Simple Solutions books provide daily lessons with just the right amount of practice; these lessons are perfect for developing pre-reading skills. 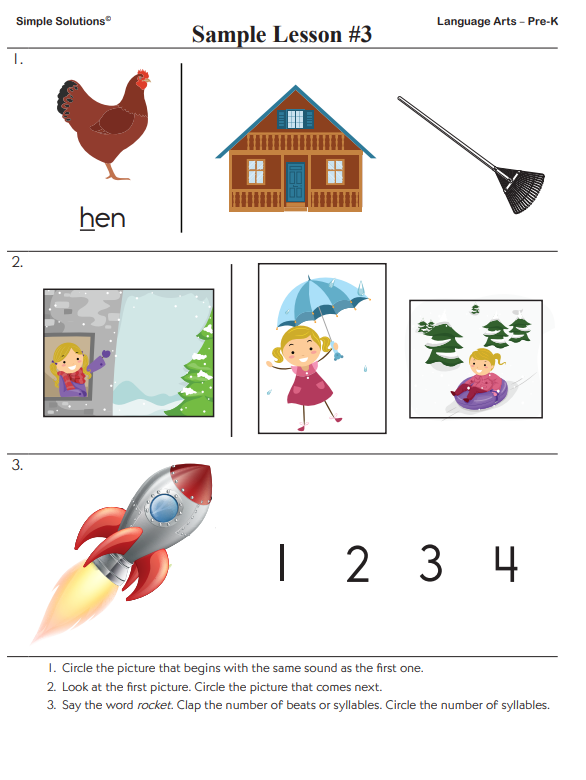 For children in preschool, we recommend Simple Solutions Pre-K Language Arts. 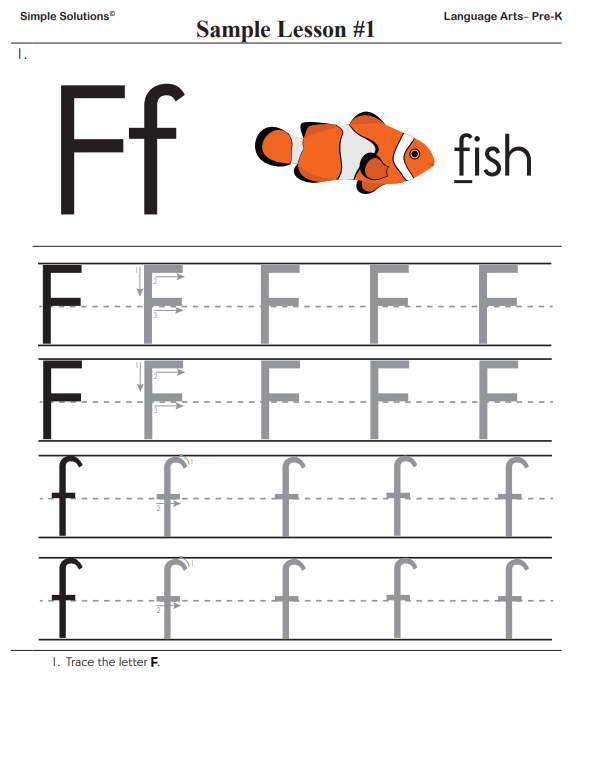 During daily practice sessions, preschoolers learn letters and how to write them; they begin to recognize sounds, identify colors and numbers, find rhyming words, and develop sequencing skills. 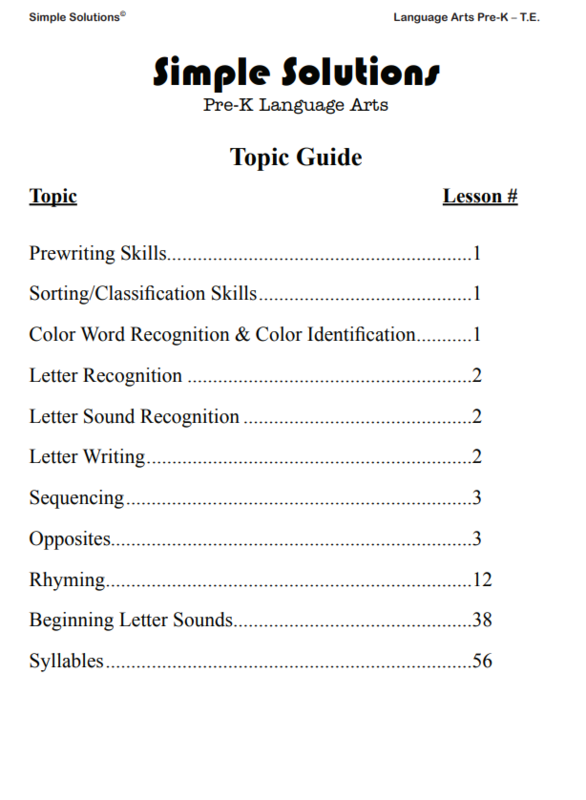 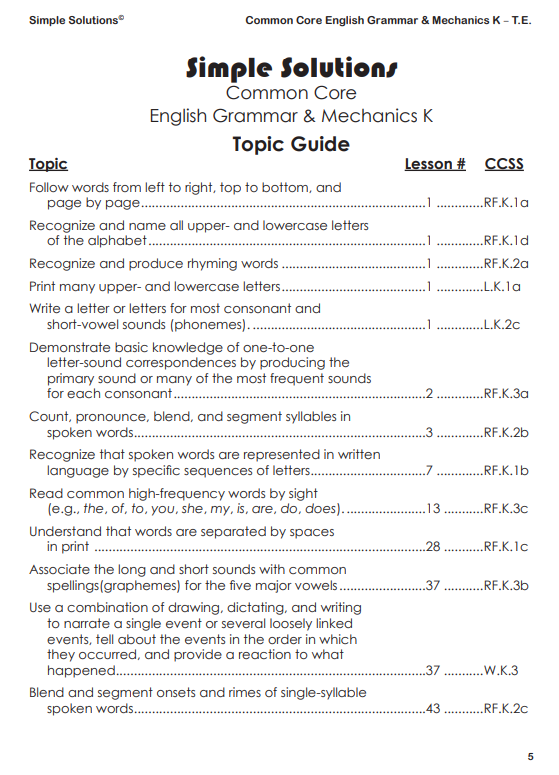 Click on the icons below to download the sample lessons and the Topic Guide for Simple Solutions Pre-K Language Arts. 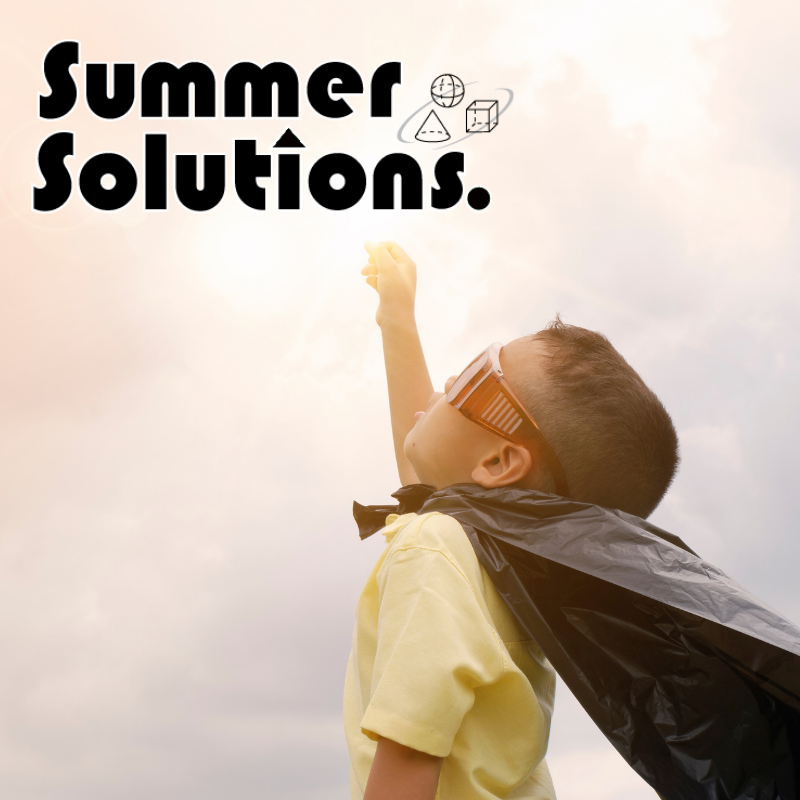 For kindergarten, we recommend Simple Solutions English Grammar & Mechanics, Level K and Simple Solutions Phonics, Level K. During daily practice sessions, kindergarteners expand upon all the reading foundational skills begun in preschool. 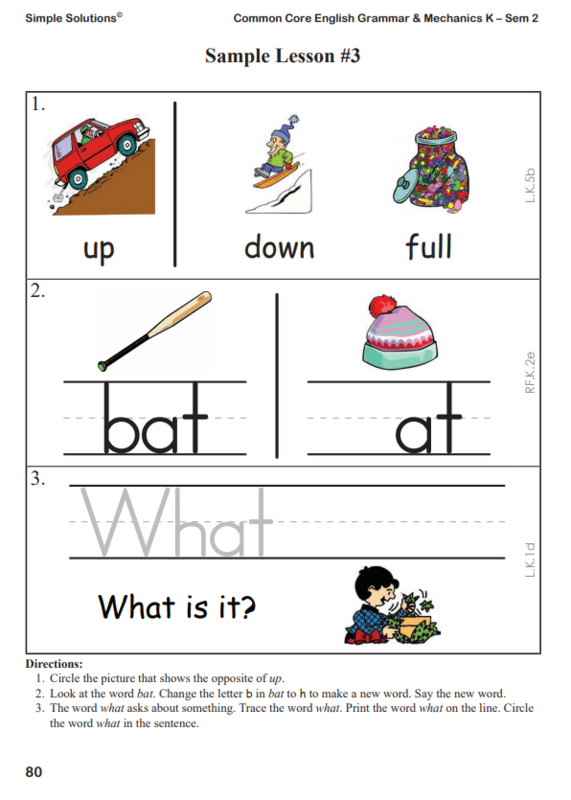 In addition, they identify real-life connections between words and their use, and they use words and drawings to tell stories. 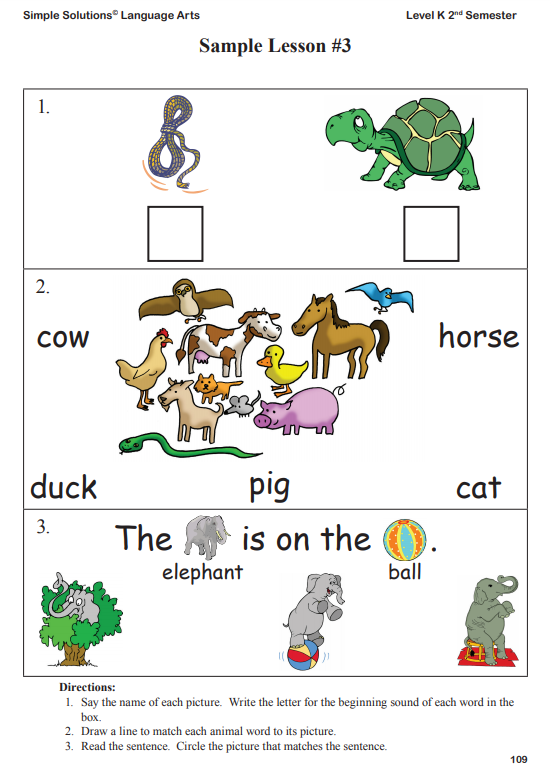 And, they begin to read at the “emergent-reader” level. 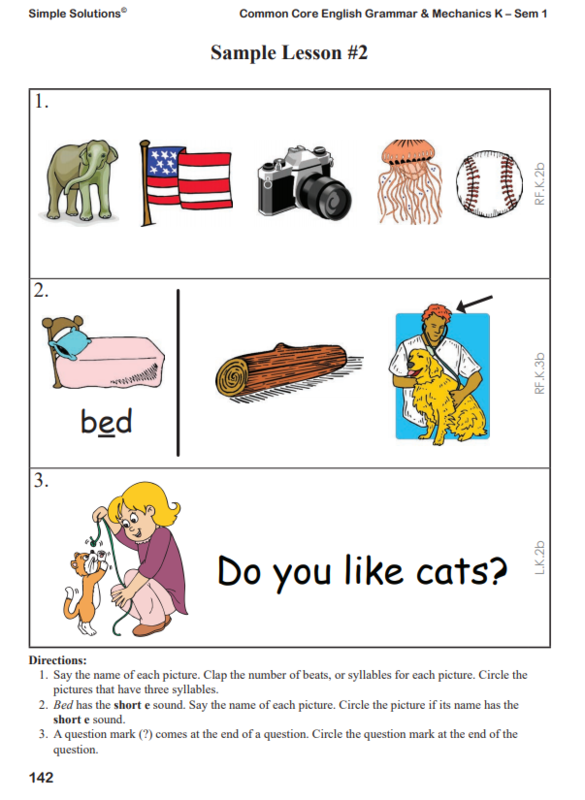 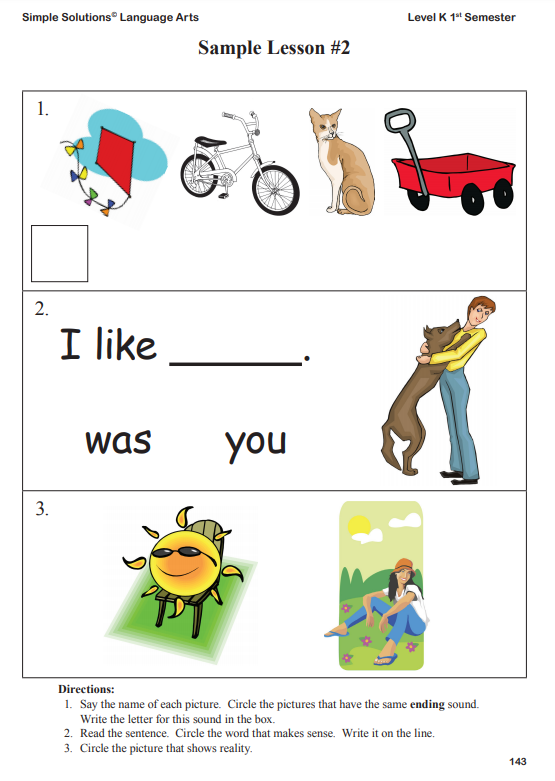 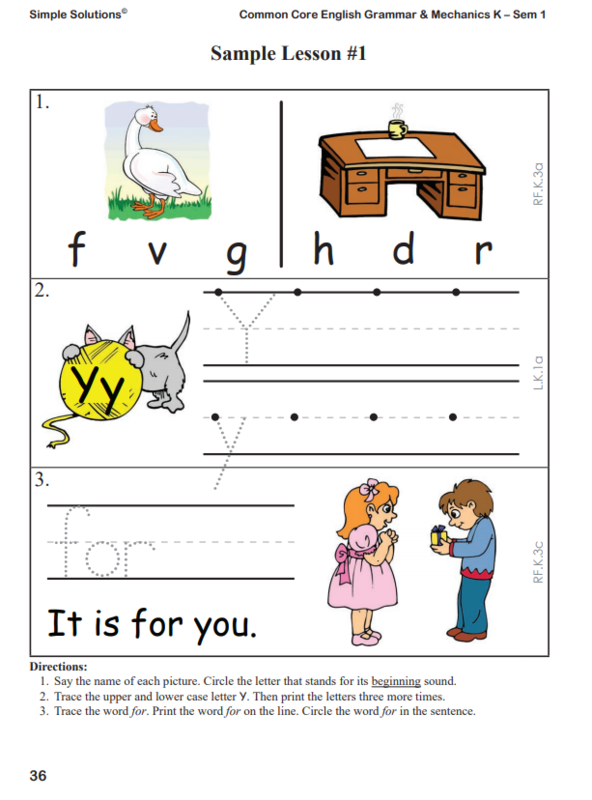 Click on the icons below to download reading and writing sample lessons and guides for Simple Solutions Pre-K Language Arts.